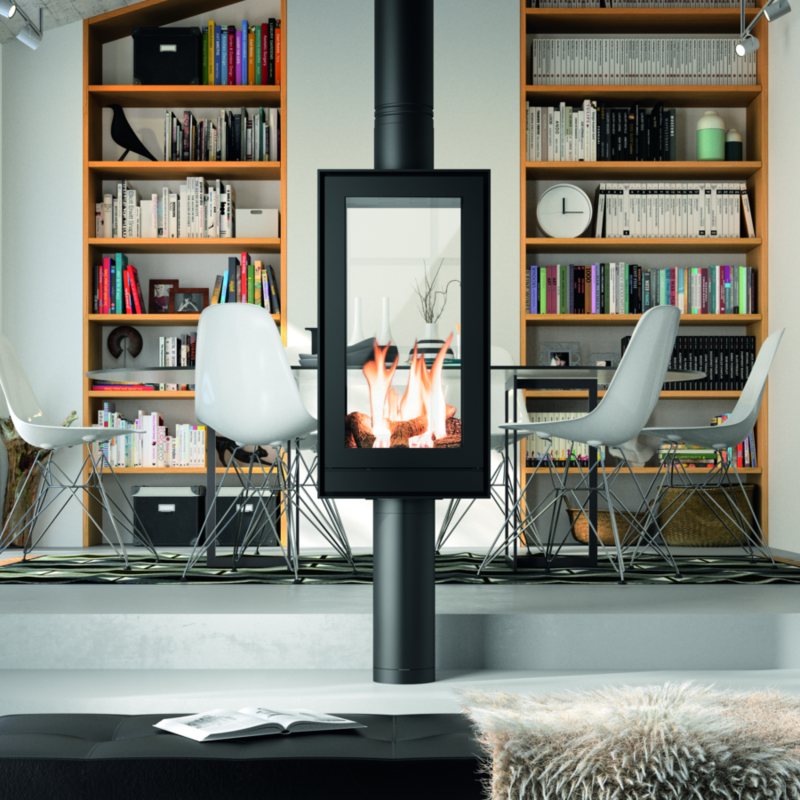 This June, the hugely successful Hearth & Home Exhibition took place once again at Harrogate and European stove specialists Eurostove are proud to announce that its Nestor Martin double-sided 360° rotating gas stove was a finalist in the ‘Best Gas Stove’ category. 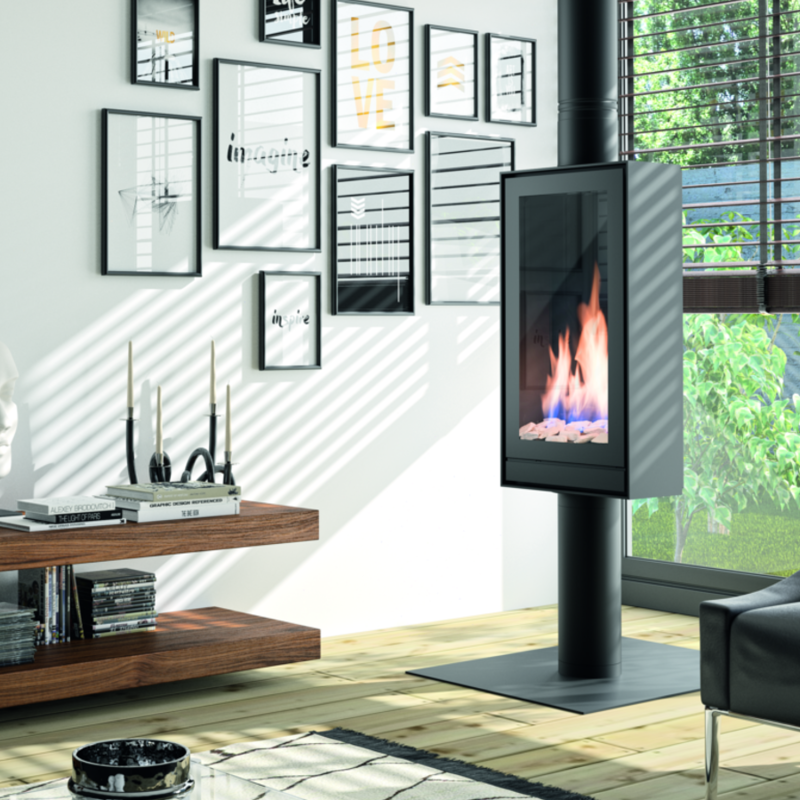 Commended for its spectacular rotating body, the THS 15 offers users a unique view of the flickering flames within from opposite ends of a room. A fantastic room divider and centrepiece of any scheme, this double-sided rotating gas stove offers something truly unique. Slim and elegant, it’s the ultimate addition to a contemporary open-plan living space with an impressive tall flame when switched to maximum setting. With a heat output of 2-5kW, it comes with a high quality gas burner with top or rear flue and a handy remote control for convenience and comfort in one. The THS 15 is also available as a single or double-sided design without the rotating feature, as well as single or double on a stand or as a single or double-sided inset model. Minimal in design but maximum in style, innovation and heat output, it’s the perfect gas stove solution for modern homes. Nestor-Martin is one of the oldest stove manufacturers still trading today. Established in 1854, its stoves are designed to efficiently burn natural gas and can be adapted to burn propane. They are also tested to meet the highest standards of performance, safety and emissions for both gas types.